In 2015, doctors wrote 57 million prescriptions for gabapentin, an anticonvulsant drug that has been praised for being a safer painkilling alternative to the powerful opioids that have driven the drug abuse epidemic in America. But with so many prescriptions being written, and stories of how the medication itself has become a contributing factor in some overdoses, a gabapentin drug guide is needed to answer questions of what it is, what it does, and if it can be abused. What are the Long-Term Effects of Gabapentin? What are the Signs of Gabapentin Abuse? What Is the Withdrawal Timeline for Gabapentin? Gabapentin is a drug of the gabapentinoid class, which is prescribed for the treatment of epileptic seizures and neuropathic pain (physical discomfort as a result of nerve damage). It is sold under the brand name Neurontin. 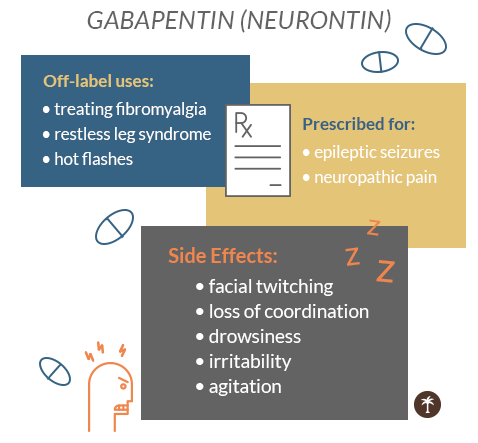 Gabapentin also has some off-label uses, in the form of treating fibromyalgia, restless leg syndrome, and hot flashes, among other conditions. Chemically, gabapentin is structurally reminiscent of the GABA neurotransmitter (gamma-aminobutyric acid), which is produced by the brain to assist with motor control, vision, and cortical functions. GABA regulates anxiety by reducing the amount of abnormal electrical activity in the central nervous system. Many people have brains that are capable of producing the right amounts of GABA to carry out this function, after which the neurotransmitters are naturally broken down and reabsorbed into the brain. However, many other people have brains which, for many reasons, cannot produce enough GABA. This is one of the mechanics behind why some people suffer from anxiety, panic, or stress disorders, why some people are prone to epileptic seizures, or why others suffer from inherited disorders like Huntington’s disease. According to the British Journal of General Practice, the gabapentin-driven boost of the GABA neurotransmitter in the brain assumes the effect of sedation, giving users a very tranquil and peaceful feeling. It has been compared to the sensation of smoking marijuana. These therapeutic effects have led to gabapentin being used in drug withdrawal treatment to help users cope with the anxiety and depression that arise when detoxing from substances to which they have developed a psychological dependence. Some users have felt more sociable than before, which could be because the increases in GABA neurotransmitters help them feel more relaxed and in control of themselves. 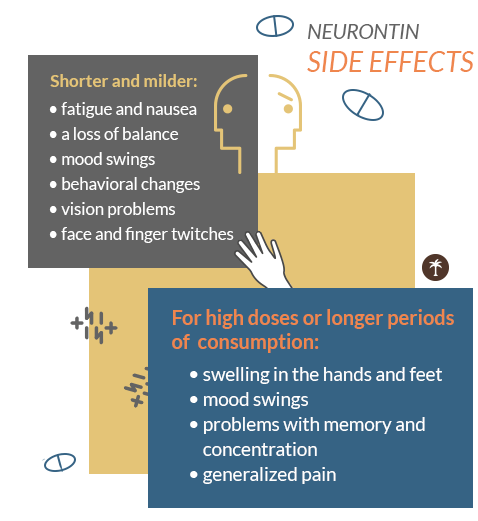 There are side effects associated with Neurontin or gabapentin consumption. Among them are facial twitching, loss of coordination, drowsiness, and irritability and agitation. While therapeutic doses of gabapentin normally carry a low potential for abuse, there is concern that taking the drug at high doses, whether out of psychological dependence or for recreational reasons, can cause withdrawal symptoms like seizures, drastic mood swings, and suicidal ideation. As of mid-2018, gabapentin is not a controlled substance. It was only formulated in its generic composition in 2004, and there have not been many clinical trials conducted on its addictive risk. The Food and Drug Administration (and the Drug Enforcement Administration under it) have not weighed in on the risks and benefits of regulating the medication, although the DEA itself has noted that there is a rise in unhealthy use and illegal activity related to gabapentin. Specifically, a 2016 report from the American Association of Poison Control Centers found that gabapentin was implicated in 168 deaths from 2012 to 2016. In 23 cases, “gabapentin was the primary cause of death.” The Drug Abuse Warning Network further noted that there were 2.7 visits per 100,000 people to emergency rooms for gabapentin use in 2004; by 2011, this had risen to 4.9 visits per 100,000 people. The DEA quoted the results of a study conducted by the American Journal of Psychiatry in 2016, of 503 adults who reported “nonmedical use of pharmaceuticals” in Kentucky; 15 percent of participants said they used gabapentin purely for recreational purposes. That 15 percent alone was a 165 percent increase compared to the preceding year, and a 2,950 percent increase from when the study was first conducted in 2008. The reality of and interest in gabapentin abuse have led to a small, but potentially growing, black market for illegal distribution of the medication. The DEA found that between 2002 and 2015, there were 407 cases of gabapentin or Neurontin diversion in 41 states, and that the drug is sold illegally on many websites. Gabapentin has not been traditionally considered a drug of abuse, but concerns have arisen of how even legitimate use of the drug causes feelings of euphoria and sedation not unlike those felt during cannabis intake. When administered as the sole form of therapy, the risk of physical or psychological dependence is negligible, but there are increasing reports of gabapentin being used with other substances, such as alcohol and opioid-based muscle relaxants. When used in this context, the potential for abuse and even addiction rises dramatically and is ultimately behind the spike of gabapentin-related emergency room visits. The first reports of gabapentin abuse date back to 2004, when the American Journal on Addictions published the results of a survey of inmates in a Florida correctional facility. Only 20 percent of the patients who used gabapentin were actually prescribed the drug. Some inmates reported crushing the pills into powder form and snorting it, comparing the experience to snorting cocaine. All the inmates who participated in the survey had a history of cocaine abuse. Because of this, many correctional facilities ordered their pharmacies to discontinue gabapentin prescriptions. Outside of the criminal justice system, gabapentin misuse in the general population takes the form of people consuming the medication without having a prescription for it. A study of 129 people found that as much as 22 percent of respondents used gabapentin recreationally, with an eye on increasing the effects of the methadone they were already taking. In Ohio, one user explained that even though gabapentin is known not to be a narcotic, “it intensifies your methadone […] so if you take your methadone and you go buy 10 gabapentin and you take all 10, it’s sort of like you tripled your dose.” Other users were cutting heroin with gabapentin. In 2016, researchers at the American Association for Clinical Chemistry warned that improper use of Neurontin or gabapentin is on the rise. Reports showed that among 323 test subjects at pain clinics and rehabilitation clinics in Indiana, Arizona, and Massachusetts, one in five patients who were prescribed opioid-based painkilling medications, while being monitored for compliance or use of illegal drugs, tested positive for gabapentin consumption even though they had no such prescriptions. A medical director noted that prescribers needed to be more aware that gabapentin is rapidly becoming a drug of abuse. “Doctors don’t usually screen for gabapentin abuse” when evaluating whether patients are taking their medications as prescribed, he said, and this might have unintentionally created an environment for gabapentin to become a drug of abuse. The Drug Abuse Warning Network reported that between 2008 and 2011, there was a fivefold increase in the number of emergency room visits for gabapentin in metropolitan areas. In most cases, the visits were not because gabapentin was taken on its own, but because it was combined with opioids, alcohol, muscle relaxers, and anxiety medications. In almost all of these cases, people added gabapentin to the mix because they wanted to increase their high. Further presentations reported that of the patients taking gabapentin without a prescription, 56 percent of them were taking it with an opioid, and 27 percent were taking it with anxiety medication, a muscle relaxant, and an opioid. As with any drug, Neurontin (or its generic form) causes side effects. The severity and length of the side effects largely rests on whether the drug is taken by itself or with other substances, how long the drug consumption has been in effect, and the patient’s individual physiology (e.g., health, lifestyle, mental health, family history, etc.). According to Mayo Clinic, the shorter and milder side effects of gabapentin range from fatigue and nausea, to a loss of balance (seen more in elderly patients) and mood swings and some behavioral changes (seen more in younger patients, especially children). Other patients report problems with their vision (difficulty focusing their eyes or seeing double) or involuntary muscle contractions (twitches) in the face and fingers. High doses of gabapentin or consuming the medication for a long period of time increases the chance of side effects occurring, their intensity, and their duration. WebMD reports that such effects can include swelling in the hands and feet and dangerous mood swings (putting users through episodes of mania and depression, including suicidal tendencies). Long-term use of gabapentin has also been known to cause problems with memory and concentration while a few patients or users have observed generalized pain. In patients who have had breathing or kidney problems, chronic or severe gabapentin or Neurontin use might exacerbate those issues, especially if gabapentin is combined with other substances. For example, the American Journal of Medicine has written that patients who had pre-existing kidney concerns before going on gabapentin could develop gabapentin toxicity. The kidneys are responsible for breaking down gabapentin so the medication’s chemicals can be properly absorbed. For patients with a history of kidney problems (e.g., people who have suffered from chronic kidney disease), this presents a risk of the chemical components staying in the body for longer than is advisable. This can lead to gabapentin toxicity, which could be fatal. Similarly, there is the possibility that gabapentin can lead to severe respiratory depression even if there are no opioids present in a user’s system. Respiratory depression occurs when the body’s ventilation systems cannot adequately draw enough oxygen, meaning that the lungs become too impaired to breathe. 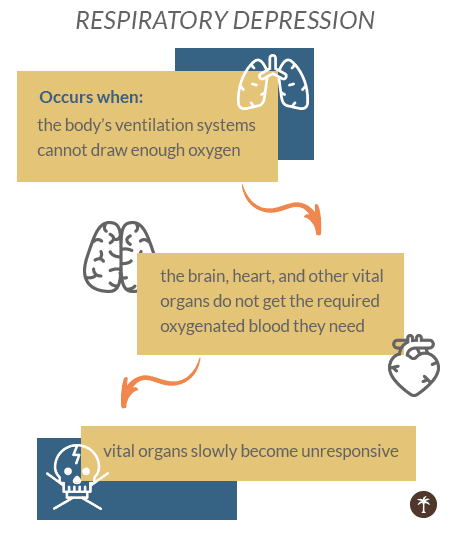 The brain, heart, and other vital organs do not get the required oxygenated blood they need to function and, as a result, slowly become unresponsive. Respiratory depression is a common cause of death in opioid abuse because of the chemical effect of opioids in the body shutting down the mechanism of breathing, and users are usually too heavily sedated to fight for their breaths. This can happen when users mix gabapentin and opioids together in an attempt to maximize the sedative effects of the opioids. In very rare cases, respiratory depression (and ultimately respiratory failure) can happen with gabapentin alone. There is also the possibility that prolonged exposure to gabapentin or Neurontin can cause a severe allergic reaction, which can cause the mouth, tongue, or throat to swell. Patients might struggle to eat, drink, or talk, and breathing can also become impacted. Over the long-term, Neurontin or gabapentin use will likely result in the person developing a physical and psychological addiction to the benefits of the medication, to the point where discontinuing it results in withdrawal symptoms. A human brain that has adapted to the constant GABA influence of gabapentin will struggle to cope without the presence of the medication, which is why people experience everything from periods of depression and anxiety, to the return of their epileptic seizures. Likewise, those who were on gabapentin to treat their bipolar disorder could struggle to control their unpredictable moods again, acting in impulsive and dangerous ways as they are compelled by their depression or mania. As with the side effects of Neurontin or gabapentin consumption, the length of withdrawal also depends on a patient’s unique physiology, how much gabapentin was being taken (and for how long), and if other drugs were involved. Generally speaking, long-term gabapentin use would result in a more difficult withdrawal process, upwards of a week or more. Symptoms would also be more severe, so much so that patients might be compelled to resume their gabapentin use, often to a greater degree than they were using it before the attempted discontinuation. This is, however, very dangerous. Withdrawal is a very delicate process of the brain producing key neurotransmitters after a long period of chemical suppression, and reintroducing a potent drug that is designed to change how the brain works will drastically upset a very fragile balance. A patient who goes back to gabapentin during withdrawal will likely deepen their psychological dependence on the medication for mood regulation and pain relief, and make it more difficult to break off use in the future. For this reason, individuals should not try to withdraw from Neurontin or gabapentin by themselves, and they should not try to go “cold turkey.” Indeed, a doctor or an addiction treatment center will most likely recommend that people remain on gabapentin for a period of time, gradually winding down their use dose by dose. Additionally, other forms of medication or therapy will be implemented to cope with the changing physiology of the transition and to address the other medical conditions for which the gabapentin was originally prescribed. As a medication, gabapentin itself carries a comparatively low risk, but the possibility of abuse (especially against the backdrop of a national opioid abuse crisis) has led to political action being taken to regulate gabapentin prescriptions at state and local levels. 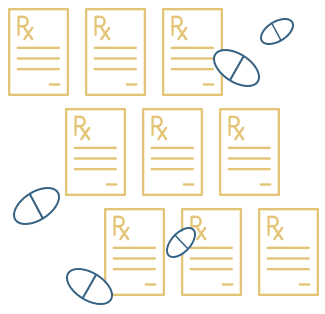 For example, the State of Ohio Board of Pharmacies has required its pharmacies, wholesalers, and physicians to turn over specific dispensing or sale information on all gabapentin-related products to the appropriate automated prescription reporting systems. NBC News writes that in 2017, Kentucky became the first state to declare gabapentin a Schedule V controlled substance (for medications with limited quantities of narcotics, with accepted medical uses, and a low risk for causing physical and psychological dependence). Doctors can prescribe Neurontin or gabapentin, but those prescriptions will be monitored through KASPER, the Kentucky All Schedule Prescription Electronic Reporting website. A doctor checking the database will be able to see if that patient has already been prescribed gabapentin from another practitioner. However, since gabapentin is only a Schedule V substance, doctors are not required to run a KASPER check (compared to mandated checks for Schedule II drugs like OxyContin). Some doctors choose not to run prescription monitoring checks out of concern for patient privacy or because they are simply pressed for time or unfamiliar with the system. Kentucky added Neurontin and gabapentin to its KASPER program after gabapentin was implicated in 33 percent of fatal overdoses in Kentucky in 2016. A local doctor told the Courier Journal that Neurontin was “becoming too popular,” and pharmacists reported that many patients were trying to get early refills for their prescriptions. In Ohio, a state that has greatly suffered because of the opioid epidemic, law enforcement and public health officials have noted a significant rise in illegal gabapentin distribution and consumption. In Athens, the home of Ohio University, 300 milligram pills are sold for as little as 75 cents each. The irony, notes NBC News, is that the Centers for Disease Control and Prevention have touted gabapentin as a safe alternative to opioid painkillers for the treatment of chronic pain. Public health officials, like the executive director of the Kentucky Office of Drug Control Policy, are reluctant to “declare war on gabapentin” (in the same way that opioids are treated with suspicion by many in that sector) and still insist that the medication is a good drug. However, the reality of abuse and how its combination with alcohol and narcotics has increased cases of abuses (and even death) are leading many to acknowledge that there is a problem. Narcotics officers in Kentucky now consider gabapentin to be an “emerging threat,” even while acknowledging that the drug is mostly harmless in isolation, so much so that some cops not involved in drug crimes haven’t even heard of it. Part of the risk with gabapentin is that because it is so widely believed to be a safe alternative to opioid prescriptions, it was overprescribed (in some cases, as a direct counter to opioids). A pain specialist in Louisville observed that “everybody taking an opioid for chronic pain was also taking gabapentin,” and for patients suffering from physical or mental distress, the temptation to abuse a “safe” mind-altering drug that was made readily available to them from a trusted source was too great to resist. He also noted that when patients demand painkilling medication, doctors usually acquiesce to the requests; in the past, they did so by prescribing opioids. More recently, the prescriptions have gone toward other medications, including gabapentinoids. But in the face of the rise of gabapentin abuse, more public health advocates suggest that doctors “should focus on how to cope with or mitigate pain,” instead of using drugs in an attempt to “eliminate” pain. The fact of drug abuse in America is such that gabapentin, a medication that “is not really that strong […] and relatively safe,” has become part of the conversation about prescription medication abuse, risk, overdose, and ultimately death. As Neurontin becomes increasingly associated with the opioid epidemic, health experts fear that doctors will become less likely to prescribe gabapentin to patients who could really benefit from its effects.